Looking for something to do this Halloween weekend? We’ve scoured the interwebs for some fun, entertaining, and offbeat events happening all around the Asheville area! From pet parades, to haunted houses, Sweeny Tod, beer festivals, and more, check out our comprehensive list of Asheville events, as well as a few in Hendersonville and Black Mountain. Some are family friendly, some are not, so please be sure to check the details of each event before planning on taking the kids. Villains 2! The Halloween Party! Time: 9:00 p.m. until 2:00 a.m.
What: music and dancing! Come danced as your favorite villain. Time: 7:00 p.m. until 2:00 a.m.
What: concert with Supatight & The Chit Nasty Band. Click here for more info. Time: 5:30 p.m., 6 p.m., 6:30 p.m., 7 p.m., 7:30 p.m. or 8 p.m.
What: Tours of haunted areas in Swannanoa area. Tours include historical reenactments and guides dressed in period clothing. Feel free to dress up for Halloween as well! Tickets are $25-$35. Click here for further information. What: two plays; one a thriller about an eccentric barber and the other a haunting tale of a family from Texas. Perfect for people interested in a more artistic Halloween event! What: a haunted trail brimming with live actors, props, and sounds, Pisgah Brewing has partnered once again to create one of the most versatile Halloween events in Asheville. After surviving the trail, you will spill out into Pisgah Park for a Halloween Party. Of course there will be food and beer! What: a modern take on the classic by Robert Louis Stevenson. Tickets are $21 online and $24 at the door. Time: 1:30 p.m. until 5:00 p.m.
What: If you aren’t into the whole themed Halloween gig, then check out this festival. It celebrates the season as it comes to an end with great beer and great bands! Time: 10:00p.m until 2:00 a.m.
What: featuring artists such as the Krektones and DJ sets by 103.3 AshevilleFM’s own Devyn Marzuola, Cousin TL, Greg Cartwright and DJ Kutzu; this event has a host of music and dancing that will go straight back to your local radio station! Tickets are $6. What: Riyen Roots will be playing at this Soul/Blues Country dinner at Up Country Brewing Company! Tickets are $5. Time: 9:00 p.m until 3:00 a.m.
What: Interested in winning $1000? Scandals will be hosting an all night Halloween party with three levels of dancing, four bars, and a winner take all costume contest! Admission is $25. What: Asheville on Bikes and New Belgium Brewing Co. collaborated to create this social biking tour of Asheville. It’s not only a costumed event, but free and open to the public. So grab your bike, run to the costume store, and get some good social exercise to work off all that candy! What: the legendary tale of Ichabod Crane’s pursuit of Katrina Van Tassel that ultimately leads him to encounter the headless horseman: this play is the perfect Halloween activity for those theatre junkies out there. Grab your tickets now for only $5! What: Halloween warm-up with Gothic folk band, Charming Disaster. Followed by Wasted Wine and Plankeye Peggy on Halloween. Where: Los Reyes Bakery, 810 S. Grove St.
Time: 3:00 p.m. until 6:00 p.m.
What: The first ever full-on Day of the Dead festival in the area, this event takes place in Hendersonville! It will feature raffles, contests, dancing, sugar-skull painting, and altar creating. Even if you do not resonate with the heritage of this holiday, it is a wonderful way to learn about other cultures and their meaningful traditions! What: Features Asheville musicians, Claude Colemen Jr., Ram Mandelkorn, and Caromia Tiller! $8 advance and $10 day of the show. Time: 9p.m. Sat. and 8 p.m. Mon. What: The Halloween festivities kick off at Jack of the Woods on Saturday night with a costume contest, and the theme is the Roaring 20s/retro! Then, on Monday night the annual Honkytonk Halloween Bash with ACMR (Asheville Country Music Revue) steals the spotlight. The band consists of local musicians and the audience is asked to dress as your favorite country music star! There will even be cash prizes for the best costume. $10 for admission. 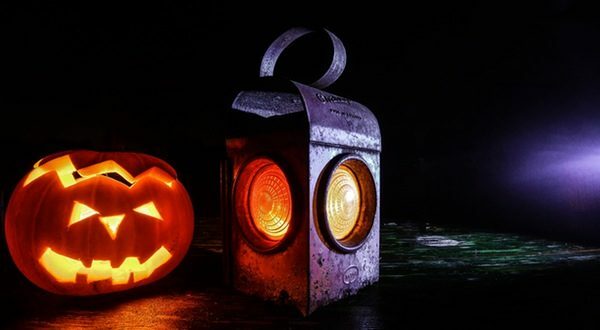 Time: 5:00 p.m. until 7:30 p.m.
What: If you’re looking for a less traditional or more secular Halloween event, join the local Buddhist group for an afternoon of storytelling, poetry, and (of course) pie! Don’t forget to wear a costume! Where: New Mountain AVL, 38 N. French Broad Ave.
What: Music including Desert Dwellers, Living Light, Templo, and plenty more! Tickets are $20 advance and $25 the day of the show. Time: noon until 3:30 p.m.
What: This is the perfect event for children! Bring your kids to the school to participate in games, music, food, bounce houses, food, and a silent auction to benefit the school. What: a press release described this show “raucous, theatrical, and over the top.” It’s a more relaxed option for events on Halloween, and a good way to steer clear of the trick-o-treaters. Tickets are $17 advance and $20 day of the show. Click here for more info on the show.